This 2,200-square-foot house in southern Vermont stays comfortable all winter using less power than a hairdryer. It's a Passive House, and it's the next big thing in energy-efficient construction. Ted and I were all set to install LED strip lights, as described in my recent post about choosing LED lights. But then we spoke with my father's friend John—a major techie at a major technical manufacturing company—and he suggested we wait a bit longer. He said that for the next two years or so, the best LED products will be Edison-style replacement bulbs that use remote-phosphor technology. LEDs do not produce a wide spectrum of light on their own, but when LED light strikes a phosphor, the phosphor emits a wider range of colors. You can see this in the Philips LED replacement lamps: the unlit bulbs look yellow, but the light that comes off them is a nice warm white. Those kind of replacement lamps are the best short-term approach, but the longer-term approach will be multi-string ("but not RGB"). He said, "They will be phosphor-shifted blue LEDs picking up green-yellow (called BSY), with some combination of red/orange/amber LEDs at the longer wavelengths." He added, "CRI is only a start at analyzing the problem. It's very outmoded, made a lot more sense in 1950 than today. Doesn't measure reds well (which are very important to human perception), and the spectral absorption are too broad-band." This confirmed our experience of CRI — the lights we were going to buy had a good CRI (85) but was noticeably weak in the red part of the spectrum. Ted looked OK under our test lights, since he has fairly rosy cheeks to begin with, but they made me look a bit more wan than usual. CREE LR6 (BSY/orange two string) — "This dims well, but the color changes a lot"
One thing he likes about these models is that neither has 120Hz ripple, admitting that not everyone is sensitive to this, but that it drives him nuts. He also notes that efficacy is approaching 100 lumens per watt, "which is a good benchmark for a warm white bulb." The models that you're looking at don't actually use DC, but rectified high frequency AC that tracks the input line (120Hz modulated 25kHz). This means a lot of flicker. They are also are "local phosphor single string", which means bad color. The efficacy with transformer is probably about 50 lumens/W, not awful, but not good either. Our new plan is therefore to postpone installing the strip lighting, but to leave all the rough wiring in place. We'll make do with floor and table lamps for a year or so and then install strip lights once they've improved the color rendering and efficacy. I told him that most of the light fixtures we're buying take regular A19 lamps (Edison standard), but a few will take B10 lamps (Edison candelabra bulbs). He warned that it's harder to make good replacement lamps for smaller bulbs because there's not enough mechanical volume to make a good LED ballast. I asked whether CFLs at that size are any good, and he said, "Most of the fluorescent at that size are CCFLs, which have good life, but won't dim well, and have lower efficacy than larger CFLs. There's a effect called cathode drop which fundamentally decreases the efficacy of these small lamps." He concluded, "Maybe this gives you something to think about. A lot is going to change in the next few years." Green building, the haiku way! Read more about Green building, the haiku way! My employer BuildingGreen recently celebrated the overlap of National Poetry Month and National Architecture Week with a sustainable design haiku contest. I am not normally someone who writes poetry, but I quickly discovered that writing haiku was a great way to blow off years of accumulated steam from trying to build a Passive House. So I dropped everything and immediately started tweeting a string of cathartic haikus. Many of my little poems require some basic knowledge of green building, so I am turning this into a teaching opportunity by annotating my wee œuvre below. Let the learning begin! "A house has to breathe." Whenever I tell people we're building an extremely tight house, someone always pipes up, "Well, a house has to breathe." Yes, and that's why we're installing a ducted heat recovery ventilator (HRV). An HRV is a a fresh-air system with pipes to the outside, and it has a heat exchanger that transfers most of the heat between the two streams. Our HRV is 84% efficient, which means that in cold weather it will transfer 84% of the heat from the outgoing stale airstream into the incoming fresh airstream. Compare this to a leaky house, which gets fresh air and expels stale air through holes in the building envelope, losing oodles of heat in the process. Lately when people tell me a house has to breathe, I tell them that a human also has to breathe but we do it with lungs and a respiratory system rather than by punching holes all over our body. For some reason, this metaphor really makes an impression. It's hard to believe, but there is still a lot of unsustainable logging going on these days. Siding and decking are particularly bad, since it often comes from old-growth cedar and hemlock forests in British Columbia. It is therefore important to look for sustainably-forested wood, and the two main certification groups are FSC (Forest Stewardship Council) and SFI (Sustainable Forestry Initiative). FSC was created by environmental groups whereas SFI was originally backed by the wood products industry, and even though SFI has distanced itself from the logging industry, critics still say it is less rigorous than FSC. Things get ugly between FSC and SFI when LEED gets factored in. LEED is the U.S. Green Building Council's rating system for buildings, and they currently give points only for FSC wood, not SFI. SFI representatives grumble that this is hurting the domestic lumber industry, but... well, if you're really interested you can read all about the "Wood Wars" at BuildingGreen. Just build out of rocks. Thermal bridges are a major avenue for heat loss in a building envelope. They occur when material crosses through the building envelope, creating a direct link between the heated interior and the cold outdoors and allowing heat to escape the building envelope. A classic thermal bridge is the shared concrete slab underneath a house and its attached patio; heat from inside the house travels outside through the concrete slab, and the furnace has to work harder to replace all the lost heat. You're basically paying to heat the outdoors. The reverse happens during the summer, when outdoor heat travels through the concrete into the air-conditioned house. There are numerous ways to "break" a thermal bridge without losing the structural benefits of a shared platform, but many builders don't bother. 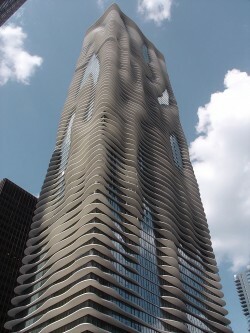 Aqua Tower, a gorgeous new high-rise in Chicago, should have been built with special thermal breaks for cantilevered balconies, but the builders skipped that crucial step. The building is structurally sound, of course, but it's not nearly as efficient as it should have been. As the western light shines in. But look at the view! The point here is that west-facing windows become a problem during the summer as the sun begins to set, filling the room with unwanted heat and glare. Sadly, most builders ignore passive solar principles when siting a house, instead placing windows toward the best view. Questions about payback are a common gripe among green builders. I ranted about it last year, but I'd like to add that conventional construction is often cheaper than green building because the costs have been externalized. For example, when we rely too much on carbon-heavy energy, we're shoving the costs onto the people who will be hit hardest by climate change. Or when we use materials with a toxic manufacturing process, we are saddling those workers and communities with the long-term cost. Ted and I have not always made perfect decisions while building this house, but we sincerely tried to bear most of the cost burden ourselves. It made our house more expensive than I would have liked, but my only real regrets are the times when we cheaped out at someone else's expense. A lot of people think the best way to improve their home's energy performance is to add fancy equipment like solar panels or a ground-source heat pump. But you can get a lot more bang for the buck simply by improving your thermal envelope. After that, go ahead and install some eco bling. You might not need that ground-source heat pump anymore, but if you install solar panels you'll be able to generate a much higher percentage of the energy you use. Addendum: We got more advice and decided to wait on installing LED strip lights. Read more in "Stepping back temporarily from LEDs" (May 9, 2012). I could not have designed and built this house without our good friend Google. I created all of the 3-D drawings in the free version of SketchUp, and I researched literally every component of this house using Google's indispensable search engine. Unfortunately Google is nearly useless for researching items that are aggressively marketed online, particularly LED lights. The problem is that discount LED vendors use every trick in the book to rank among the top Google search results, so it's nearly impossible to find helpful online advice about how to buy LED strip lights. Until recently I had only a dim (ha!) idea of what components we'd need for LED strip lighting. But now that we've figured it all out and completed our lighting schedule, I'd like to share what I've learned about illuminating a room primarily with LEDs. I do not usually use all-caps (the Internet equivalent of screaming), but this is hugely important. It is tempting to order LEDs online from discount vendors, and you might know people who like the lights they purchased that way. Ted and I have some friends in Austin who purchased a lot of accent lighting from Eco Light LED, and the lights look really cool. Installed inside bookcases and behind valances, they have RGB controllers and can be adjusted to display a huge range of fun colors. Ted and I assumed we'd light our house with something similar, only on a larger scale. We subsequently learned, however, that you can only get away with cheap LEDs if you aren't using them as a primary lighting source. When you look at a person, you're seeing the light that's bouncing off of them; the surface of their clothing, skin, etc., absorbs certain parts of the spectrum and reflects the rest back out. So if your light source is missing crucial colors, that person will look downright creepy. Any decent LED manufacturer will publish the product's Color Rendering Index (CRI). This is an adequate (though incomplete) measure of the light's color fidelity. CRI is measured on a scale from 1-100, with ordinary incandescent lights at 100 and everything else somewhere below that. For your primary indoor lighting source, you shouldn't go below a CRI of 80. 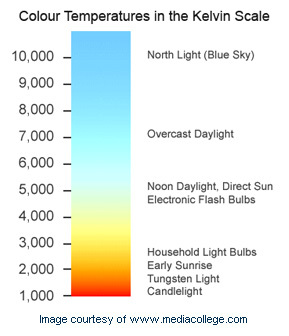 Color temperature is also important, and it is easily misunderstood. "Warm" light actually has a lower temperature — incandescent bulbs are 2,700K and those blue-white LED xmas lights are around 6,000K (compact fluorescent bulbs usually range from 2,700 to 3,500K). All of our LED lights will have a color temperature around 3,000K and a CRI in the mid-80s. 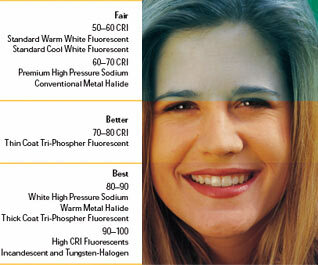 Once you know a little about CRI and color temperature, the discount LED vendors no longer look so good. Eco Light sells Warm White LED Strip Lights for about one-quarter the price of the strip lights we're buying, but a closer look at their downloadable spec sheet reveals that the color temp is a not-so-warm 3,500K, and they don't mention CRI at all. I found CRI info on a few other discount sites, but the numbers were unacceptably low (70-75). Most of our LED strips will be installed behind a valance, with the light shining upwards across the ceiling (the sole exception is the under-cabinet lights in the kitchen). The LEDs we selected have a good overall CRI (85) but are a little weak in the red part of the spectrum, which means we need to choose ceiling paint with a hint of red pigment so it won't absorb all the red coming from the LEDs. Our lighting consultant told us a cautionary tale about how indirect non-incandescent light bouncing off cream-colored walls can turn everything yellow, and we don't want that to happen to us. In fact, we had planned on using pigmented plaster for our walls, rather than the usual paint over drywall, but the lack of fine-grained color control pushed us back to the standard approach. The first thing to know about LED strip lights is that they run at a much lower voltage than most other electric devices in your house. In North America, we use 120 volts AC (alternating current), and most LED strip lights run at either 12 or 24 volts DC (direct current). You will therefore need a transformer to convert from line voltage (120V) to the voltage of your LED system. In case you're rusty on how electricity works, I should point out that the voltage has nothing to do with how much energy the lights draw. Voltage is analogous to water pressure (not the total amount of energy used), so the important number is how many watts a fixture requires. Each circuit of strip lighting will require its own transformer (by "circuit" I mean a strip that's controlled by its own switch), and the total wattage of the strip lights cannot exceed the maximum output of the transformer. Our strip lighting draws 3W per foot and our longest stretch on a single circuit is 14'-4" (the upstairs hallway), which means our heaviest circuit will only draw 43W. The smaller WAC Lighting transformer is rated up to 60W, so we'll be well within the limit. One remote transformer (driver). Converts from 120V (line voltage) to the 24V required by the lights. Each segment of strip lights connects to the next, and the end cap terminates the string. Incidentally, the reason we're fiddling with the 2-inch segments instead of just trimming a 1-foot segment (the lights are trimmable every three inches) is that it's marginally less expensive. This will give us the exact length we need. I confess that writing this post has made me wonder why we're installing LED strips when CFLs use roughly the same amount of power. People criticize fluorescent bulbs (compact and otherwise) for containing mercury, but it's just a tiny amount and can be recovered if the bulb is properly recycled. LEDs don't contain mercury, but various toxic chemicals are used during production, and their heat sinks are made from valuable metals like aluminum. So why are we using LEDs? I suppose it's partly the eco-bling factor. 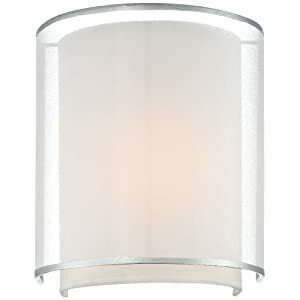 But we're installing plenty of conventional fixtures too, and in the short run we'll probably fit most of them with CFLs. LED replacement bulbs tend to shine in a single direction; this makes them a good choice for recessed downlights, but not so good for wall sconces and multidirectional fixtures. We considered using a series of T5 fluorescent tubes for all the indirect lighting, but then we'd run into "socket gap" — dark spots where two bulbs meet. We would also have to build a larger valance to hide the bulbs, and there are a few places where we need to keep the valance quite small. We therefore succumbed to the blingy lure of LEDs, and I sincerely hope they'll earn their keep during their projected 50,000-hour lifespan. That's 17 years, assuming we run them eight hours a day, which I doubt we'll do. Again, this is why it's important to choose the manufacturer carefully, since we're likely to be stuck with these things for a long long time. I keep thinking I can cover lighting in a single post, but each time I try I wind up having too much to say. In a future post I'll share diagrams and photos of our indirect lighting setups. I'd also like to talk a little about switches (whee! ), and now that my eyes have been opened to the subtle art of lighting design you can expect a rant or two about bad lighting. Added on May 9, 2012: We changed our minds. See "Stepping back temporarily from LEDs" for the details. One of the many things I like about the internet is how it enables a green-building wannabe like me to eavesdrop on the hotshots at the popular table. And unlike the popular crowd at my junior high school, these people are generally quite friendly if I pipe in with my opinion. This week the cool kids have been buzzing about Martin Holladay's post on GreenBuildingAdvisor.com about the huge impact of occupant behavior on how much electricity a house uses. He cites energy-use data from two super-insulated houses in Massachusetts: a zero-energy house in Montague and a large Passivhaus in Shrewsbury. The owners of the net-zero house used considerably less energy than predicted, whereas the owners of the passive house used much much more. One big culprit in the second house is air conditioning. 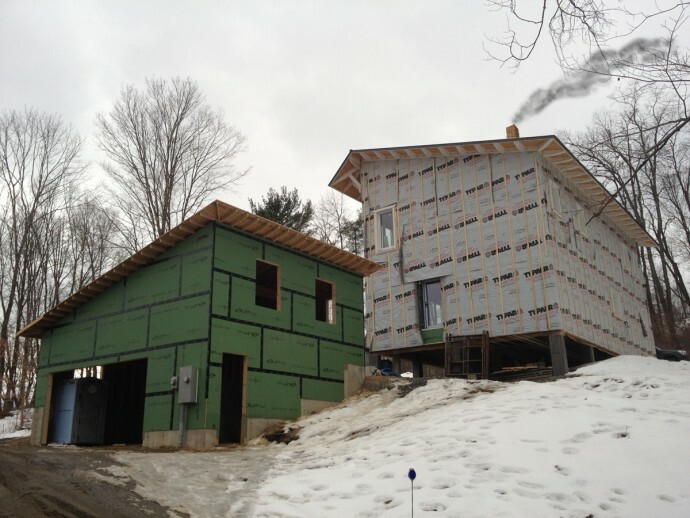 Passive houses in New England are optimized for cold weather, since that's the bigger requirement out here. But big south-facing windows with a high solar heat-gain coefficient can cause problems when the weather warms up, since they let in too much solar heat. Ted and I expect to have this problem, but we plan to address it by hanging exterior louvers from the south-facing windows in late spring (and then removing them in October or so). We might not get around to building them this year, but it's our long-term low-tech workaround to the problem. The second culprit is plug loads (lights, appliances, TVs, computers, etc.). The Monday-morning quarterbacks in the green building community are rolling their eyes at the owners of the Shrewsbury passive house, who have two televisions (including an energy-gobbling plasma TV), a DVR, multiple computers, an old freezer and a dehumidifier in the basement, along with oodles of lights. The house still uses less overall energy than a conventional house, since the heating costs are so low, but it's nonetheless a bit embarrassing. I shouldn't laugh, though, because Ted and I might find ourselves in a similar spot. We don't have a plasma TV or DVR, and we cleverly eliminated the need for a basement freezer and dehumidifier by not building a basement, but we are major computer geeks and have more than our share of blinking-light devices. We also have a deep attachment to automatic dishwashing, and I joke that we'll be able to use Ted's espresso machine to heat the entire house. I got into a little Twitter exchange about it the other day with Passivhaus BMOC Mike Eliason and British architect and sustainability pro Elrond Burrell (both of whom have way more Twitter followers than I do). Here it is, minus some helpful details from rising star Floris Keverling Buisman, who gets bonus cool points for (A) being a co-founder of Four Seven Five, importers of geektastic high-performance construction products like this mini-HRV Ted covets even though we have no use for it, (B) living in Brooklyn, the Passivhaus epicenter of the western hemisphere, and (C) being from the Netherlands, which automatically boosts one's eco street-cred (hello bicycles!). The point I couldn't make in 140 characters is that energy-efficient living needn't be austere. Both of my interlocutors (intertwittulators?) point out that constraints can inspire brilliance — perhaps the biggest "constraint" in promoting green building is that people don't want to sacrifice their own comfort. Yes, our definition of comfort has grown out of proportion in the last 50 years, but I suspect that most people living in 4,000-sf houses secretly yearn for the relatively zen-like feel of a well-arranged 2,000-sf home. The key phrase here is "well-arranged." If a smaller house lacks the rooms they need, they won't want it. Likewise, if an energy-efficient house doesn''t satisfy their longing for comfort and entertainment, they're not going to build one. I read a depressing blog post last year that described how to save energy by heating only the space your body occupies and only using task lighting right in front of you. Yeah... good luck getting that to catch on. Unless energy prices skyrocket (a distinct possibility but not a certainty), nobody is going to willingly embrace that lifestyle. This is why Ted and I are so aggressively pursuing a third alternative: the low-energy-use house that doesn't sacrifice comfort. I hope we can tame our plug load, because I'd hate to be next year's poster child for Passivhaus overconsumption. We strategically chose our appliances and lighting to make conservation automatic and painless, plus we use smart power strips to curb our power-sucking ways. I really hope we can pull it off, and that everyone who visits us will get a peek at what I hope will become the new normal. In 1939, General Electric wowed visitors at the NYC World's Fair with "the World of Tomorrow." They showed off modern kitchen appliances and other work-saving devices which wouldn't hit the mainstream for another decade or so. It all came at a cost, of course, and the climate is now a lot screwier than it was in 1939, but new problems inspire new solutions, and maybe Ted and I can help show people what that third alternative — a comfortable and ridiculously-efficient house — will look like. Returning to my original topic (the green-building popular crowd), I have some good news: For the last few months I've been doing web design for some major sustainable-design hotshots: BuildingGreen.com. Founded by Alex Wilson, BuildingGreen publishes Environmental Building News, the GreenSpec product database, LEEDuser.com, and other essential green building resources. Honestly, I can't believe my luck that they're based right here in Brattleboro and seem to need someone with my precise skill set. And I'm not referring to my Passivhaus-building experience — my relevant skills in this case are marketing and web design. Happily, they seem to like my writing style, and they even let me use the word "chump" on a promotional page. It's a real treat to work with genuine leaders in the field and to help promote their mission. Plus their office is in Brattleboro's old pipe-organ factory, which is about as excellent as it gets! After struggling for months to complete our lighting plan, I now understand why most builders just give up and install recessed cans everywhere. You put a decorative fixture over the dining room table and in the bedrooms, maybe combined with a ceiling fan, plus some attractive pendants in the master bathroom, and voilà — a lighting plan! Getting a terrifyingly-high initial quote from a top-tier lighting consultant (more on this later). Spending countless hours perusing lighting websites (I'm looking at you, Lighting Universe, Lumens.com, LampsPlus, Rejuvenation, Schoolhouse Electric, Barn Light Electric, Neena's, Lightology, and EuroStyleLighting.com). Being led down the garden path by a vendor who said we simply had to see their terrific showroom, and then driving a long way to discover they had a tiny showroom with exactly nothing we liked. Asking for specific advice from said vendor, waiting a week for that advice, but then being sent nothing but a quote for hugely expensive fixtures we never even asked about. Choosing a bunch of attractive and reasonably-priced pendant fixtures, only to find out that someone near and dear to us suffers petit mal episodes around gently-swaying pendulums. Yup, putting together this lighting plan has been a non-stop party! But now that the plan is done, I'm glad we toughed it out — I think our lighting will look great and function well, and I want to share what we've learned. Once we conveyed to him what cheapskates we are, he assured us that he's happy to work on an hourly basis for people who just want a few pointers. Our first meeting with him was very productive and we planned to keep consulting him, but then Ted broke his collarbone and I freaked out about costs and decided we should just figure out the lighting all by ourselves. Ted devised an elaborate plan, rife with LED strips and T5 fluorescent tubes hiding behind valences, but it was really way too complicated and when I presented it our electrician in late January he soberly told us it was going to cost a friggin fortune to install. We're probably going to get WAC Lighting InvisiLED Pro strip lights. They have a pretty decent color-rendering index (CRI), though a little short on red, which means we need to be careful when we choose our wall paint color. The light will bounce off the paint, so we'll go with a faintly rosy shade of white. Our lighting bible has been Martin Holladay's 10 Rules of Lighting, and he really hates recessed downlights. He points out that in nature the sky is bright and the earth is dark, and yet downlights mostly just light the floor. Furthermore, they cast unflattering shadows (as my bathroom mirror reminds me every morning), and on a high ceiling they don't really provide much useful light at all. Ted and I were prepared to forgo recessed cans almost entirely, using them only above the shower and bathtub, and also as tasks light over the kitchen sink. But it turns out they work well if placed the right distance from the wall (24-27" for a high ceiling), and so we're going to use a wee smattering of them. They'll all be Juno IC-20 5" housings, with LED PAR30 replacement lamps. The most flattering lights for a bathroom mirror are the old Hollywood-style lightbulb surround. Light hits the subject from all directions, which means no creepy shadows. But many bathrooms only have downlights (this kind of fixture is all too common) — they look nice on the wall, but not so nice on the face. The Hollywood lights are a bit over the top (and screamingly inefficient), so we're going with sconces on either side of the mirror. Not fancy, but flattering, and it'll bounce some light off the ceiling as well. Wait, huh? I thought incandescent bulbs were a big waste of electricity!? They are, but the fixtures have nice standard sockets which take plain old Edison bulbs, and that's the biggest segment of the LED replacement market. 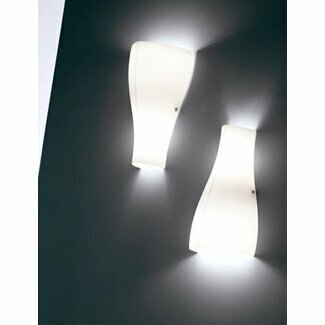 So as long as we choose decorative fixtures that don't take too weird of bulbs, we can easily make them more efficient. Choosing fixtures was often quite a challenge. Ted and I don't always have the same taste, and we're both quite opinionated. And once we agreed on a fixture that was the right price (another huge challenge), we'd discover it uses some crazy little non-standard halogen bulb which will almost certainly never get an LED replacement. This also comes from Martin Holladay's lighting rules: Don't block that light with silly dark shades. And don't obstruct light from bouncing back toward the ceiling. We're being careful to prevent glare from exposed bulbs, but otherwise we're letting it all hang out, lightwise. 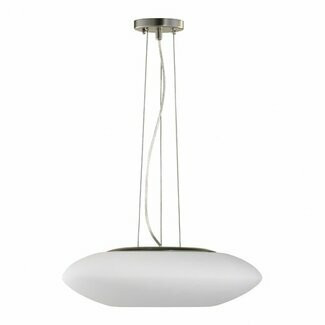 I could say much more on the topic of lighting but will instead treat you to photos of some of the fixtures we've picked out. There are several others, but I will wait until I can display them in their new home! Read more about Fun with combustion! They put out a tremendous amount of moisture, which would take ages to dry out in a tight house. It would release a lot of nasty combustion chemicals into our building envelope. 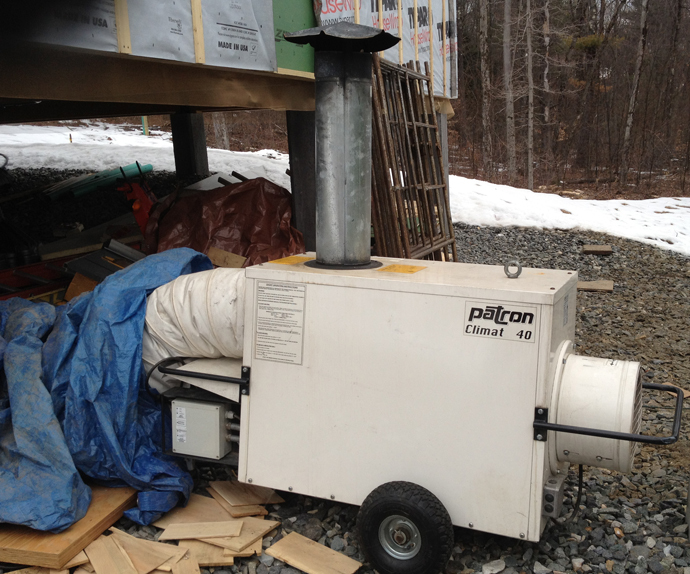 But it's winter in Vermont, and our various crews and subs are oddly cranky about working in a frigid building. So we had to come up with something. It's cantankerous little devil — Eli spent the better part of a week getting it to work, seeking advice from a wizened engine guru of his vast acquaintance. Ted and I live in vague fear that it will either (A) stop working or (B) explode, but we are also grateful that it has shown up to lend us a hand. In other news, the garage is nearly complete. Mark and Luke (from Eli's team) will start the roof edge trim later this week, and the roofing will soon follow. Windows and doors will arrive by the end of the month, and we look forward to being able to store stuff inside. I'll upload more garage photos soon, since it's truly a cool and wonky little building, deserving of its own post. Here's a photo from this morning. Can you spot what's funny about it? "A house has to breathe!" Ordinary houses breathe through leaky joints and poor seals, losing heat and wasting energy. But our house won't leak, so we'll use a heat recovery ventilator (HRV) to admit fresh air and expel stale air, transferring heat from one stream to the other. I swear this is true! © 2018 vermontpassive website. All rights reserved.